Nearly 5.6 million long-term unemployed Americans have been given paid-positions across the US, reportedly thanks to the Hiring Incentives to Restore Employment Act 2010. 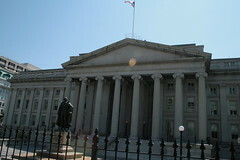 Between February 2010 and June 2010, US businesses saved a potential USD 10.4 billion in total tax liabilities, by employing new staff eligible for the Hiring Incentives to Restore Employment (HIRE) Act. The statistics were presented on August 2nd by Alan B. Krueger, Chief Economist at the US Treasury Department, at a press conference at the Albany Medical Center. The HIRE Act was conceived as an incentive for employers to provide paid positions to those hardest hit by the recent economic downturn. The Act grants businesses exemptions from the employer’s 6.2 percent share of Social Security payroll taxes for the remainder of 2010, under the stipulation that the employee has been out-of-work for 60 days or longer. In addition to providing initial hiring incentives, the Act encourages to employers to retain staff by granting an additional USD 1 000 tax credit to companies for every employee who works for at least 52 weeks. The newest HIRE Act effectiveness estimates represent an upward revision of preliminary projections released in July. Originally, the US Treasury estimated that only 4.5 million new staff were taken on by US businesses in the Act’s first four months. Employers in the state of California were the most active in regards to increasing staff numbers, with 756 204 new hires in the time between February and June. Texas, New York and Florida followed in new staff numbers, with 364 619, 339 254, 303 809 new employees respectively. Businesses in North Dakota and the District of Columbia were the least active hirers, only taking on 9 069 and 9 494 new HIRE Act eligible staff. According to publicly available US Treasury statistics, the HIRE Act has had the greatest impact for unemployed individuals with lower educations, with 60.9 percent of those hired only holding a high-school diploma or lower.